New spring guides for your AEG. Durable and precision machinery. Suitable for the strongest springs. 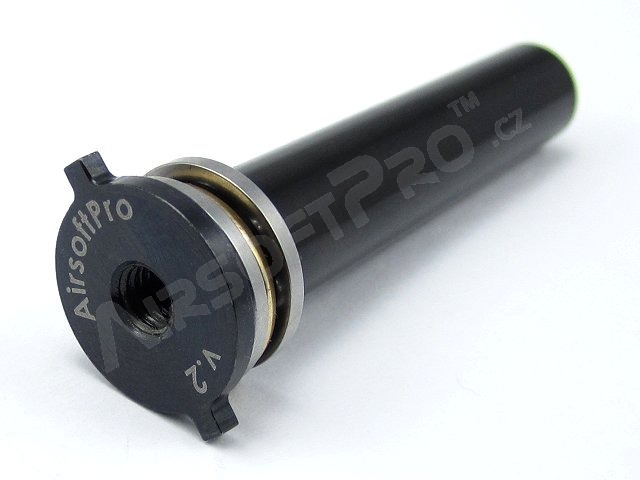 Made on High precision CNC machines in the Czech Republic. Springs sit on the axial bearing. It facilitate spring axial rotation during compression and reduce resistance. 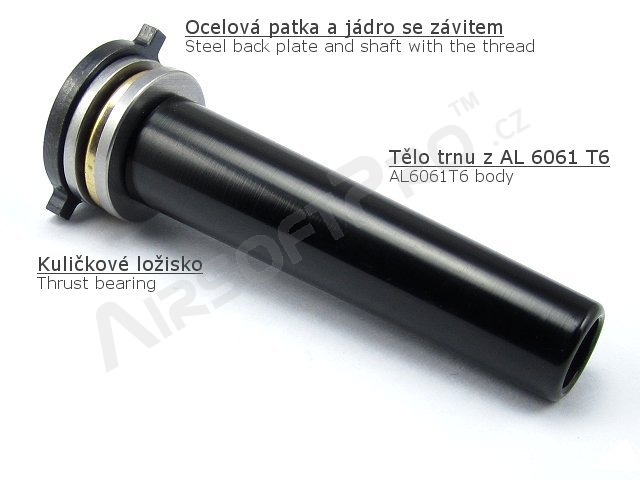 The best solution is to combine this spring guide with piston head with bearing. Steel shaft and back plate. One piece back plate and shaft. Body made of AL 6061 T6 - durable and light material.